Our family recently took a trip to Winnipeg. We had lived there for six years and both my kids are born there so a visit back was like going home. One of the things we miss the most about Winnipeg is our friends and the wonderful community. On one of our last days in the city, our friends in our former building, planned a fun playdate so we could all see each other again and give all the kids had an opportunity to play together. 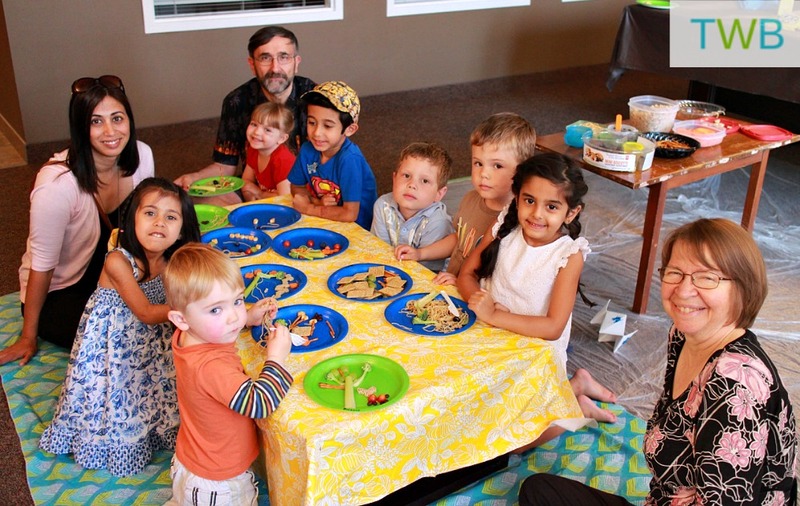 Carl and Debbie, who were our friends and former neighbours came up with the idea of a Food Art Party. We all had so much fun that I had to share their idea with all of you! 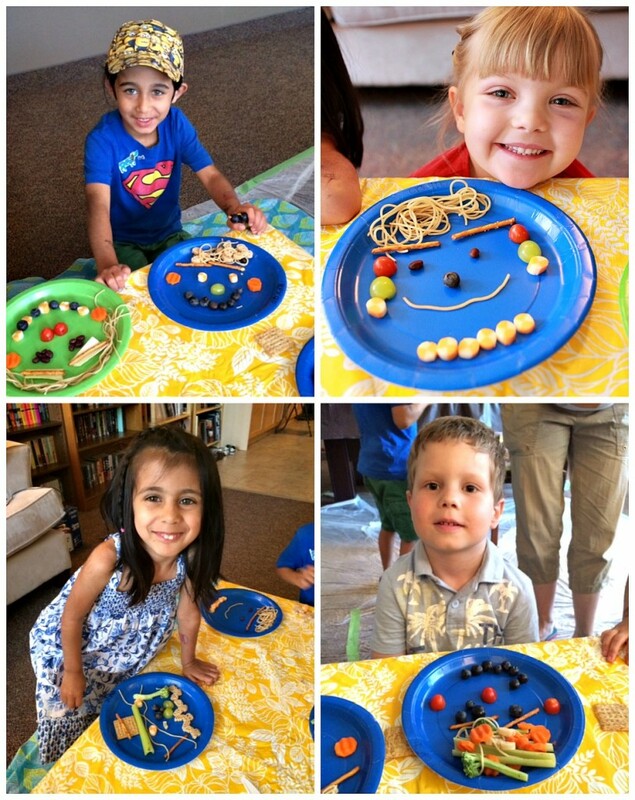 The basic idea behind a Food Art Party is that the children get to create their own face on a plate with different types of food. Then once their face or food art is complete, they can eat it. 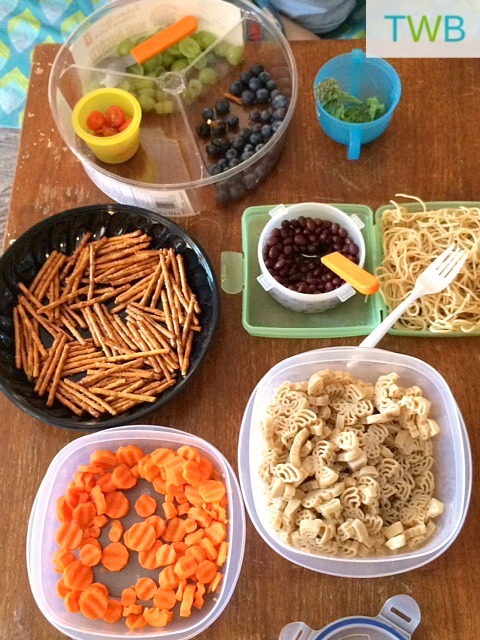 It’s a craft and snack all in one! 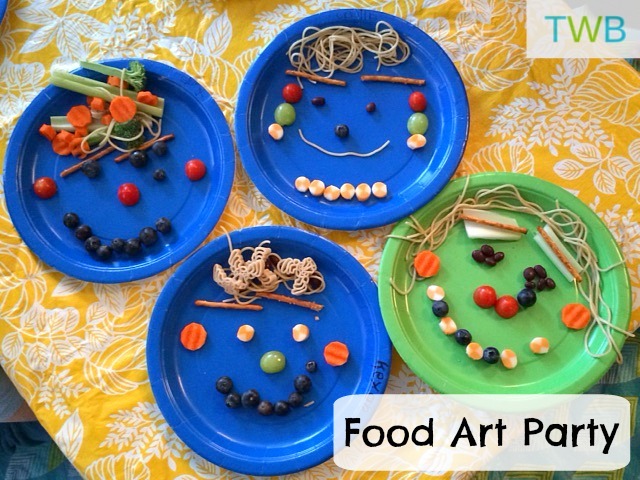 Really, any food you have can work for this fun Food Art Party Playdate. It’s all about the kids (and adults) using their imaginations to create something out of the tools they are given. Thanks so much to Carl and Debbie who came up with this lovely idea for a playdate. Carl is so wonderful with the kids and has such great ideas, that I have invited him to write a guest post for The Write Balance in the future with another fun idea for kids. Make sure to stay tuned for that! What a great way for kids to play and be creative. The happy smiles on their faces show their pride. That is fun – and healthy! One of those “why didn’t I think of that” kind of ideas. Ah! I love the food art party! What an awesome idea and something you could do even as just mom and kiddo. Thanks for sharing!